Coated papers have an excessive impact on the appearance and utility of printed materials with respect to the increase in mechanical strength, print gloss and print density. 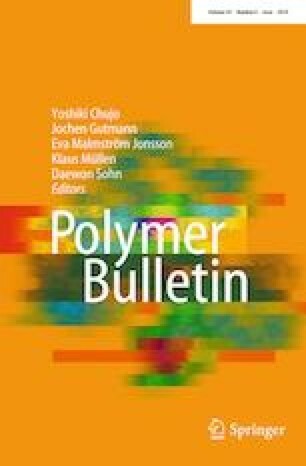 Styrene–butyl acrylate copolymers were synthesized utilizing different emulsifier systems and modified with acrylamide. These lattices were evaluated as paper coats in the presence of kaolin, calcium carbonate and a mixture of both as pigments. The evaluation aimed at employing these lattices on recycled white and brown paper substrates with respect to their mechanical properties and their printability. The tensile strength of coated papers was upgraded by ~ 20–30% in CD compared with that of uncoated papers. The improvement ratio was ~ 12–16% in bursting strength compared with that of the uncoated paper. The maximum gloss values (39 and 48) and the maximum print density values (2.51 and 2.44) were obtained for ground calcium carbonate “GCC” composites on white and brown bases, respectively. Formulas containing GCC had a uniform printed surface with high-quality ink distribution without any picking up of coated surface. This work is a promising one as efficient synthesized binders and a local pigment were employed besides achieving offset printing on recycled brown papers for the first time.